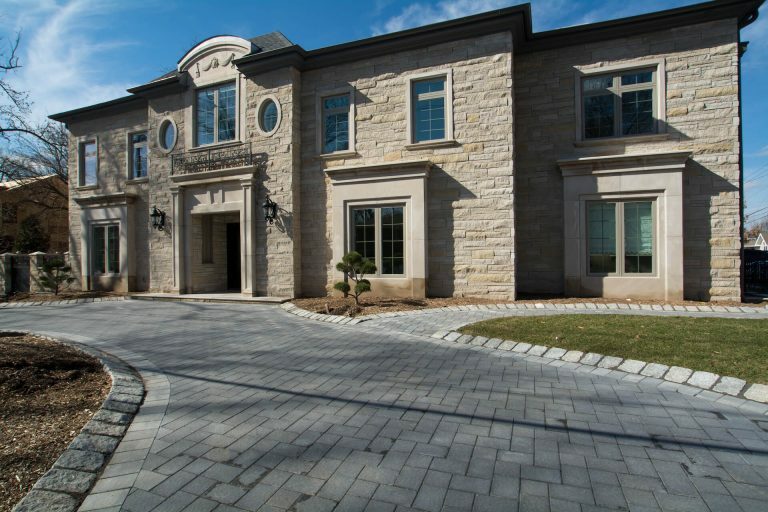 Cedar shingles and gambrel roofs give this new North Jersey home an elegant traditional look. White Carrera marble countertops and coffered ceilings highlight this spacious Kitchen. Pendant light fixture hanging over the island brings a modern twist to the space. Custom designed Master Closet with built-in make-up vanity accentuates the Mast Bedroom Suite. Built-in millwork, custom trim, and marble surrounded gas fireplace create a stately Master Bedroom. Marble mosaic tile line the floor of this elegant Master Bathroom. Rain head shower, free standing tub, and his and her sinks create an enviable space. Cedar shingles and gambrel roofs give this new North Jersey home an elegant traditional look. White Carrera marble countertops and coffered ceilings highlight this spacious Kitchen. Pendant light fixture hanging over the island brings a modern twist to the space. Custom designed Master Closet with built-in make-up vanity accentuates the Mast Bedroom Suite. Built-in millwork, custom trim, and marble surrounded gas fireplace create a stately Master Bedroom. Marble mosaic tile line the floor of this elegant Master Bathroom. Rain head shower, free standing tub, and his and her sinks create an enviable space.